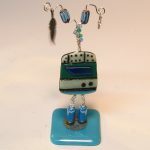 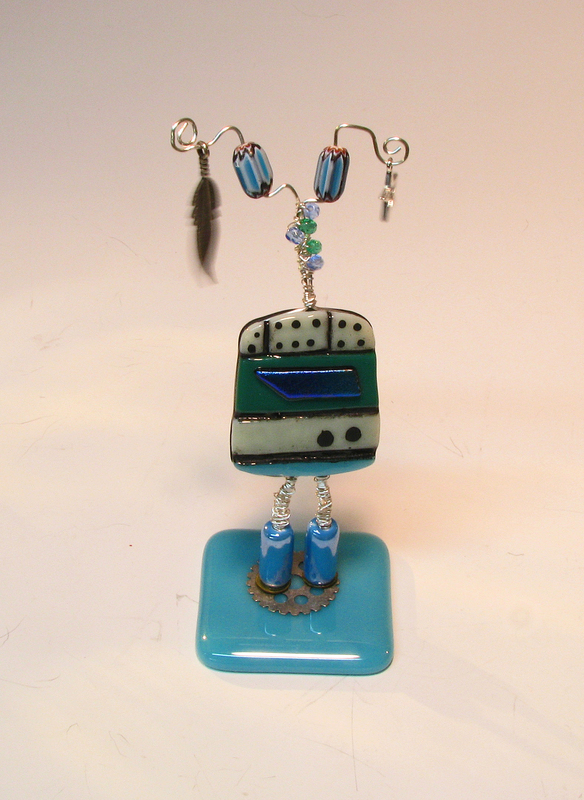 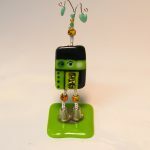 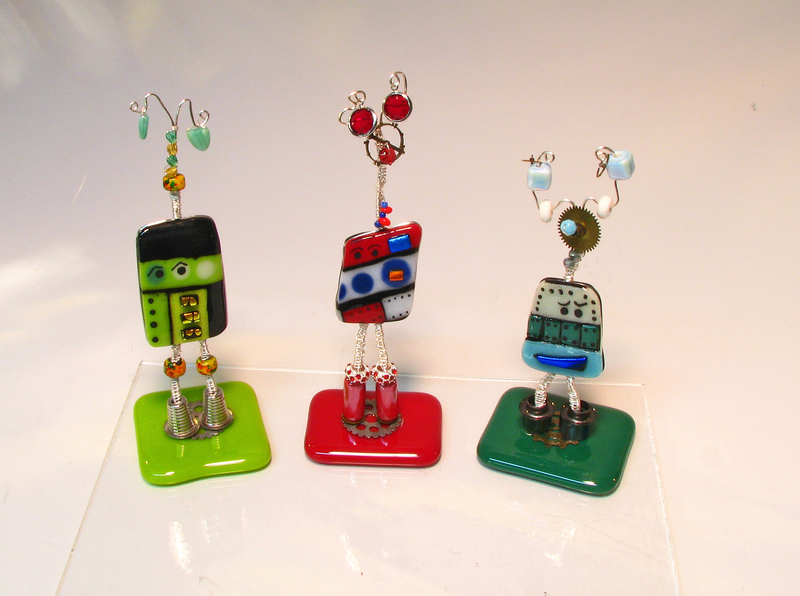 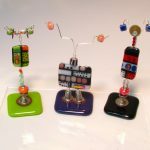 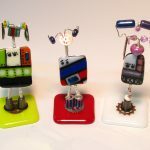 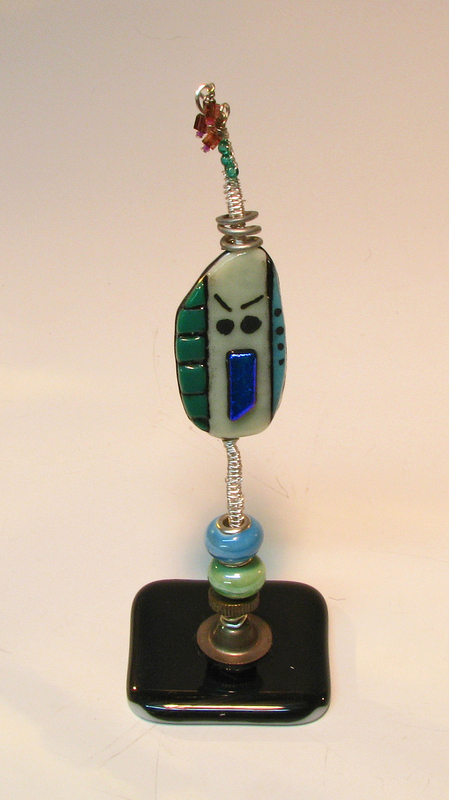 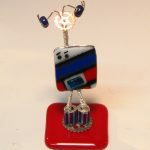 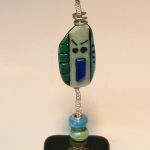 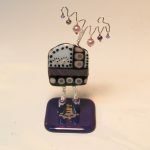 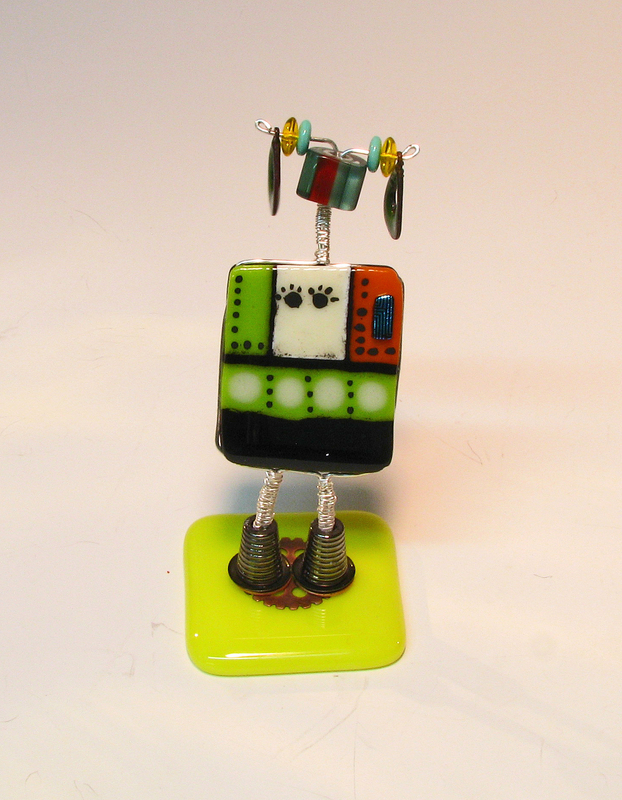 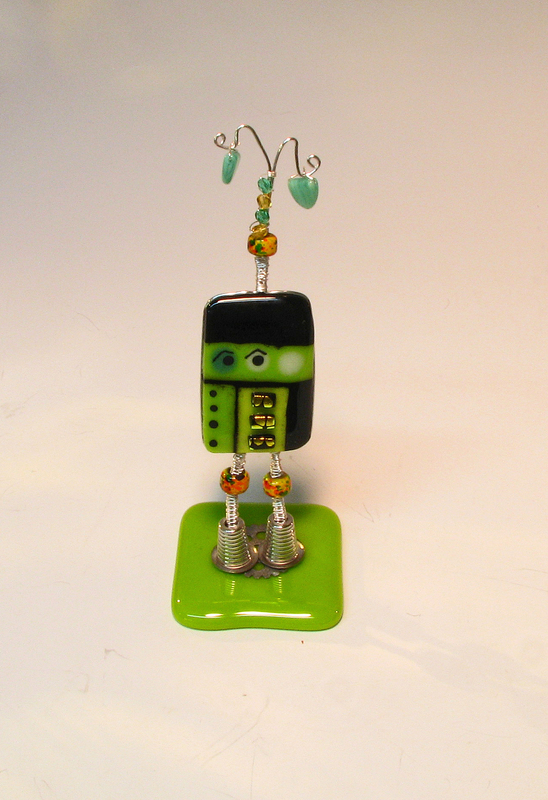 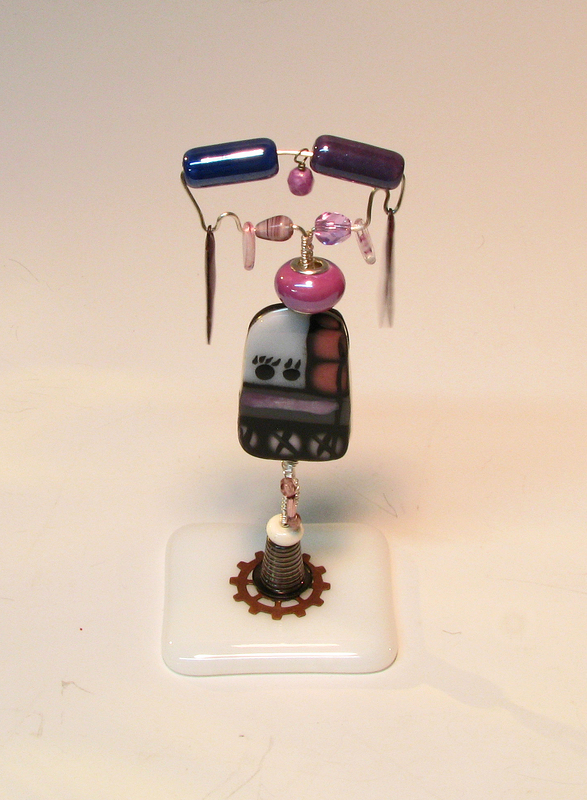 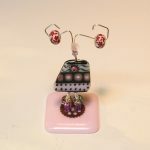 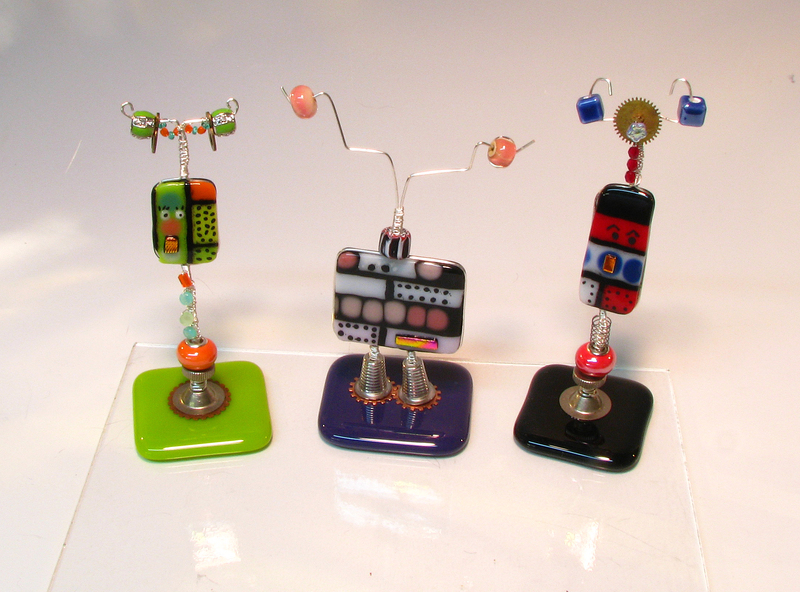 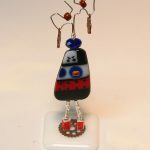 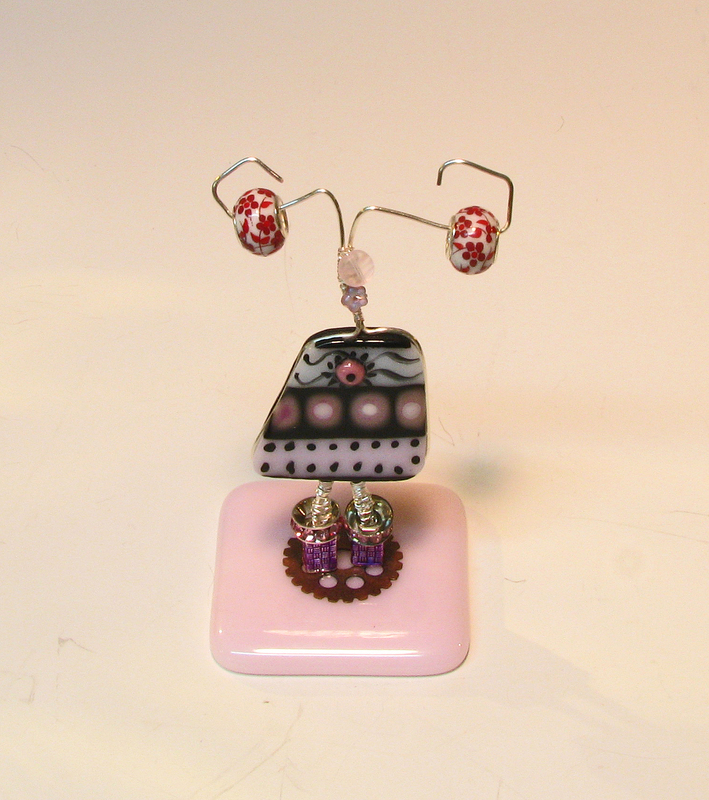 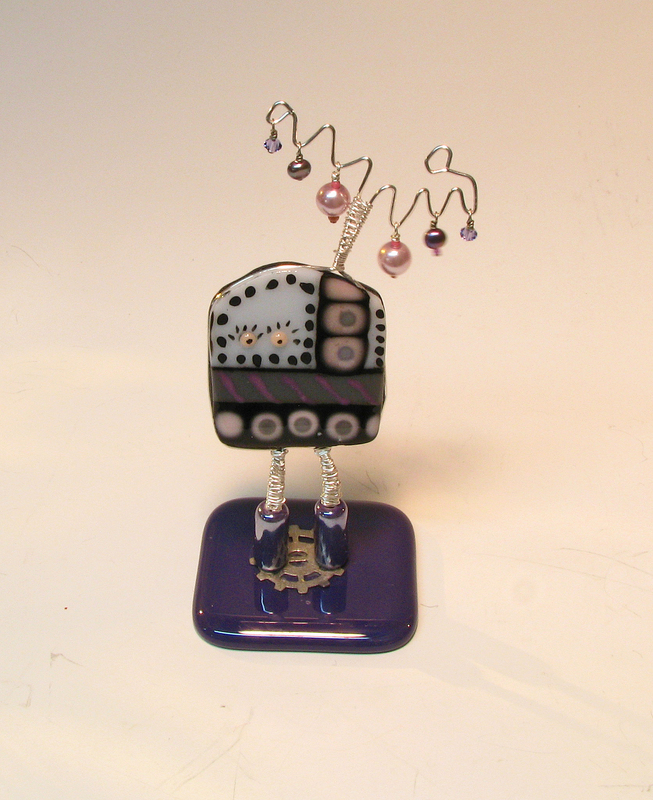 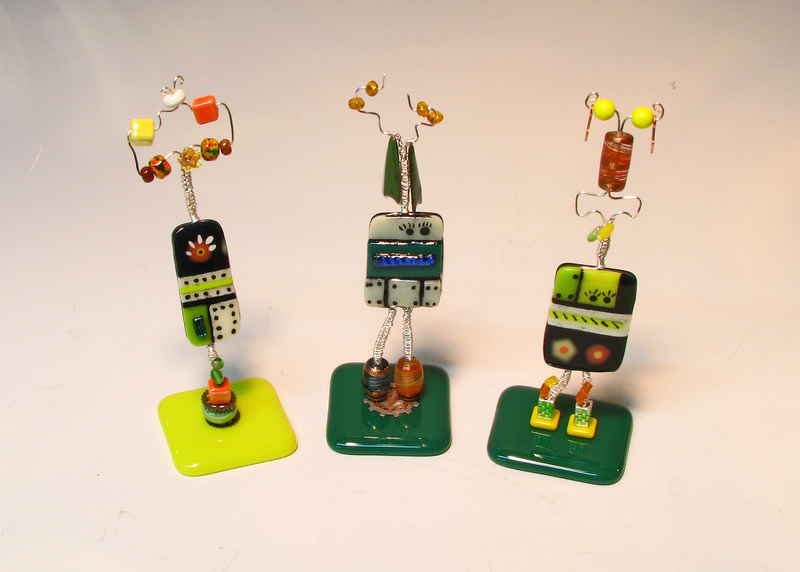 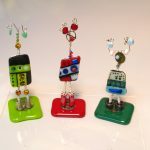 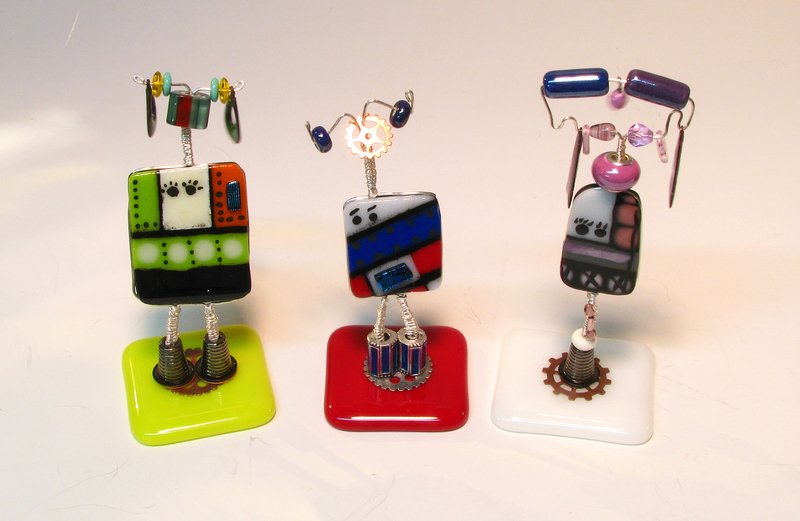 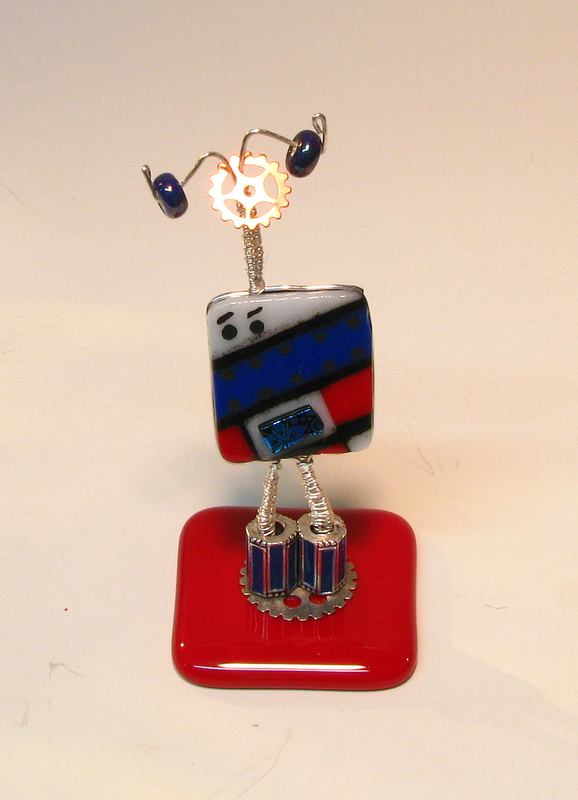 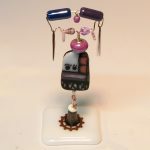 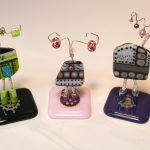 Welcome to the newest member of my fused glass line. 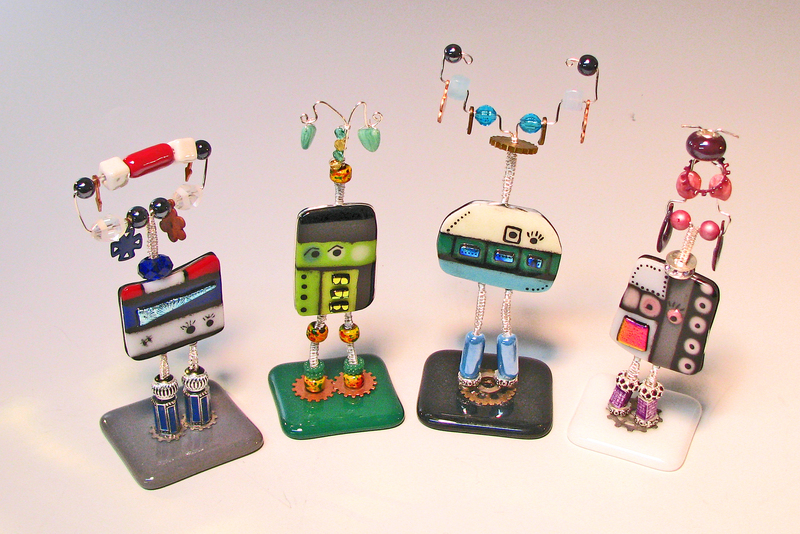 Odd Bots. 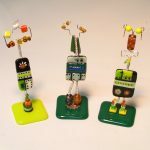 And they certainly are. 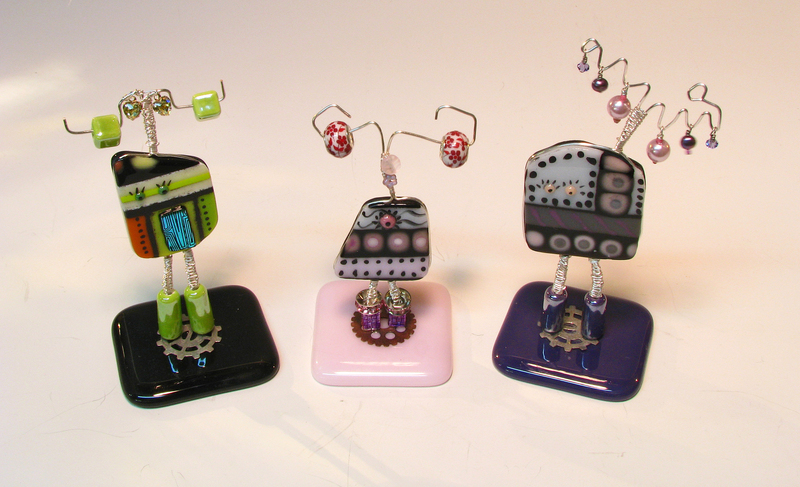 Ya see, they are not as fortunate as their more dignified cousins. 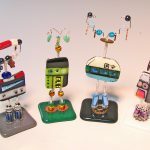 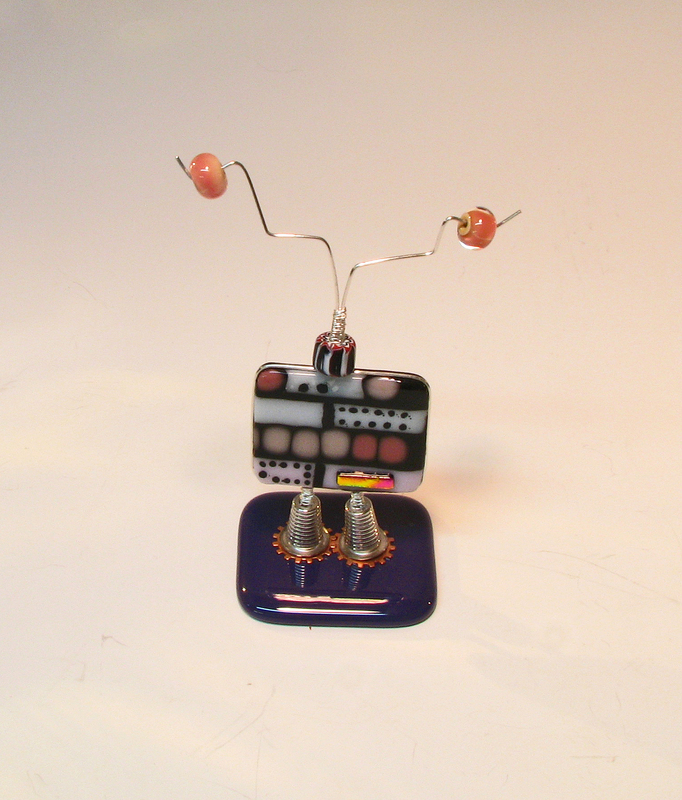 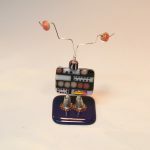 They were built with spare clock parts and odd pieces of found wire and they are very self-conscious of that. 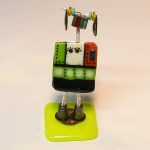 Some only got 1 leg from their builders – or even only 1 eye! 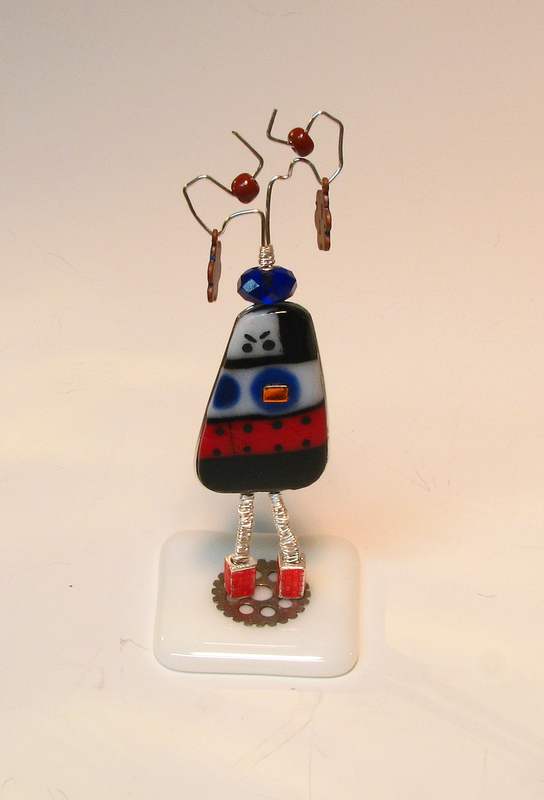 So they adorn themselves with the fanciest beads and stuff they can find to make themselves feel prettier.